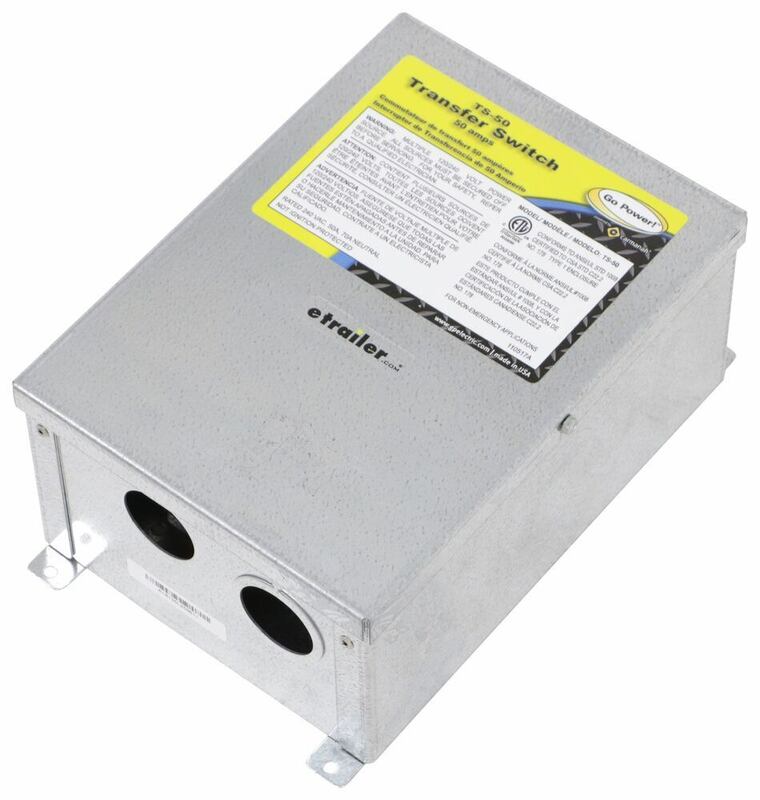 This transfer switch allows you to alternate between 2 separate 120V or 240V AC inputs to feed your RV's breaker panel. Automatically switches from inverter to shore power when available. Protects electrical system from AC power backfeed. 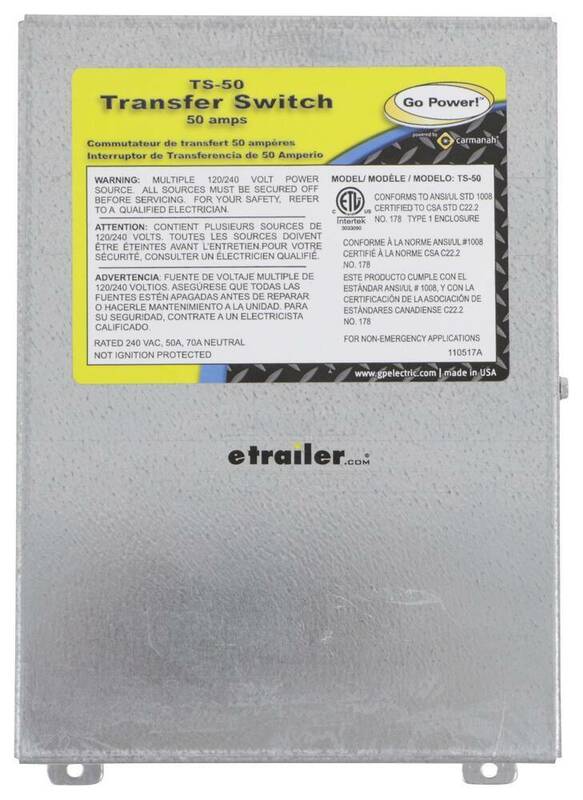 Call 800-298-8924 to order Go Power accessories and parts part number 34270278 or order online at etrailer.com. Free expert support on all Go Power products. 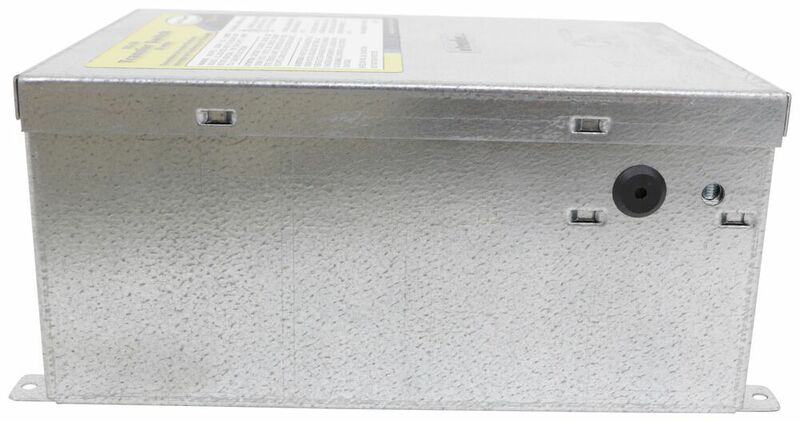 Guaranteed Lowest Price and Fastest Shipping for Go Power Automatic Transfer Switch - Metal Case - 50 Amp - 120V/240V. Accessories and Parts reviews from real customers. 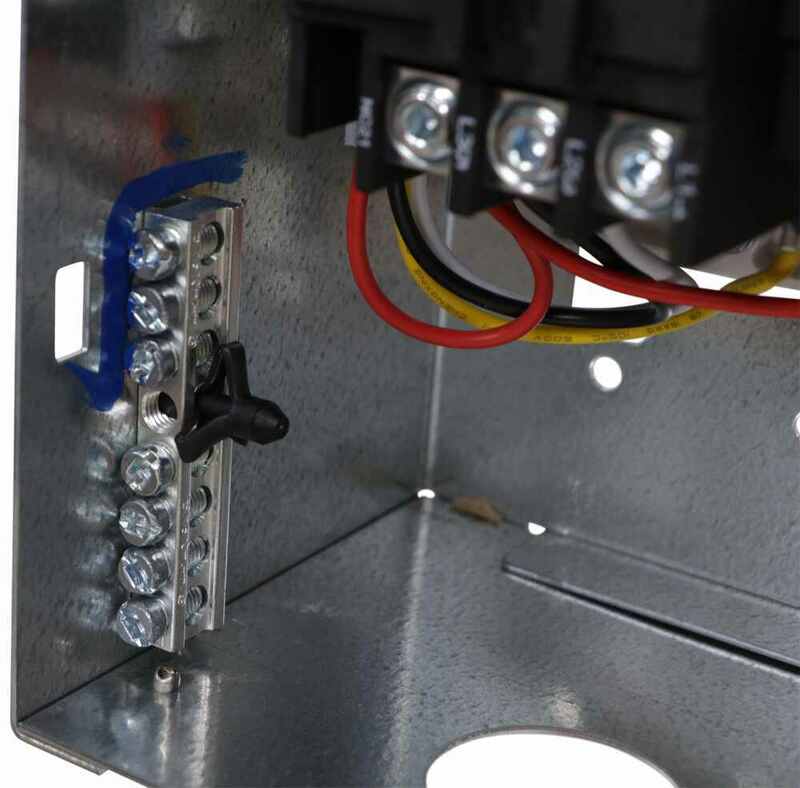 This transfer switch allows you to alternate between 2 separate 120V or 240V AC inputs to feed your RV's breaker panel. Automatically switches from inverter to shore power when available. Protects electrical system from AC power backfeed. 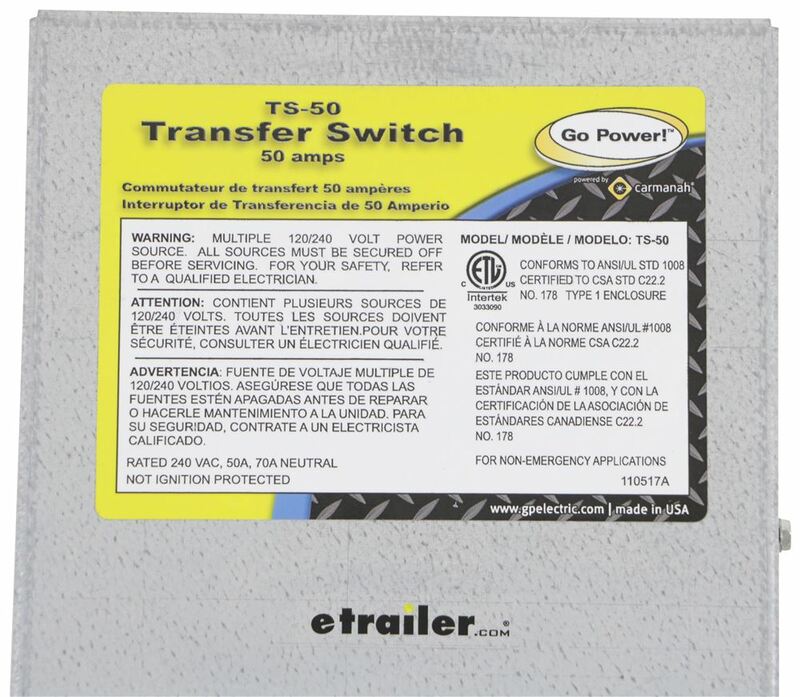 Speaker 1: Today we're taking a look at a Go Power 50-Amp Transfer Switch. 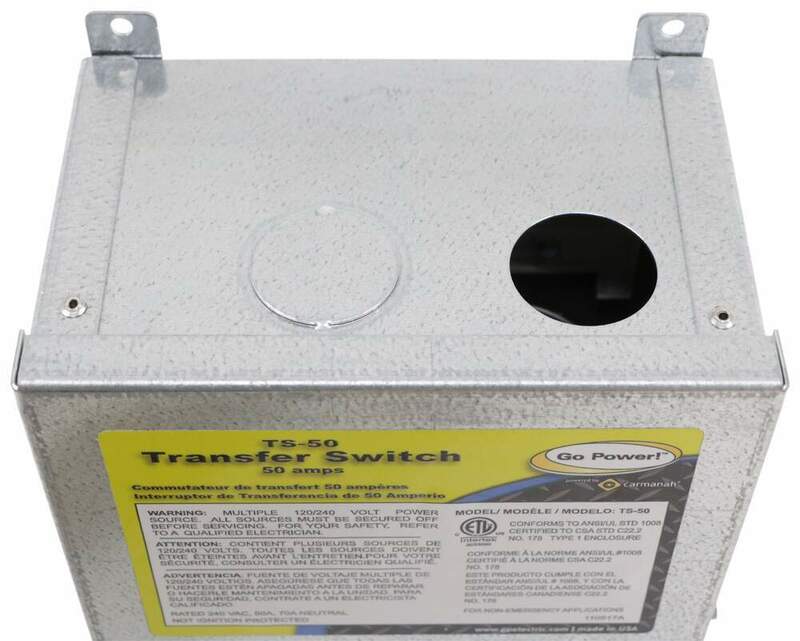 Now this transfer switch provides automatic power switching between two separate 120- or 240-volt AC input sources, including power cords, onboard generators, and onboard inverters.This unit senses the presence of available power supplies and automatically selects the proper one for your RV. 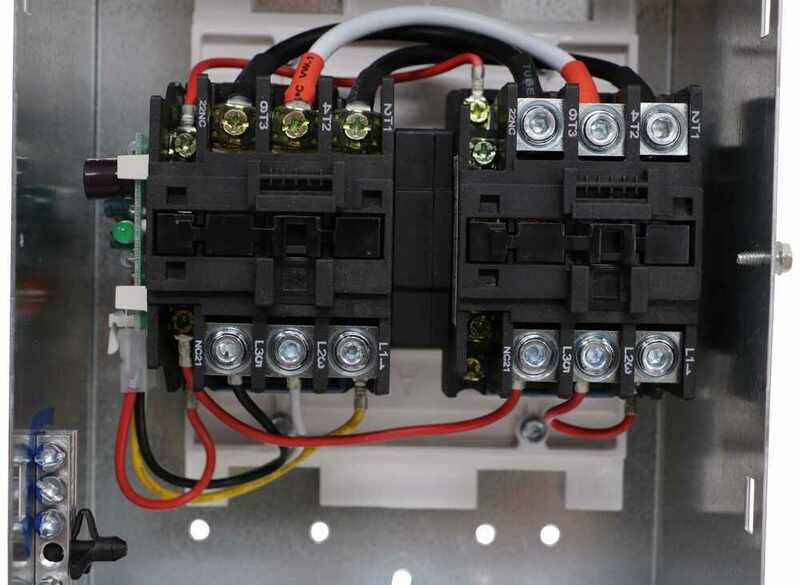 It automatically connects shore power when available to your breaker panel, and when unplugged from power, it then connects your inverter output to power your circuits.Now a transfer switch is a great option when it comes to powering the central distribution panel of your RV. That's where all of your RV's circuit breakers are located, that's where the electrical system is ran through, that powers your RV. When power is needed, and when you're not plugged into a campground pedestal or shore power, this is an automatic transfer switch that identifies what power is available and then supplies the necessary power to power your RV.This is a double-pull switch for 50-amp services, had two separate 120-volt AC legs. 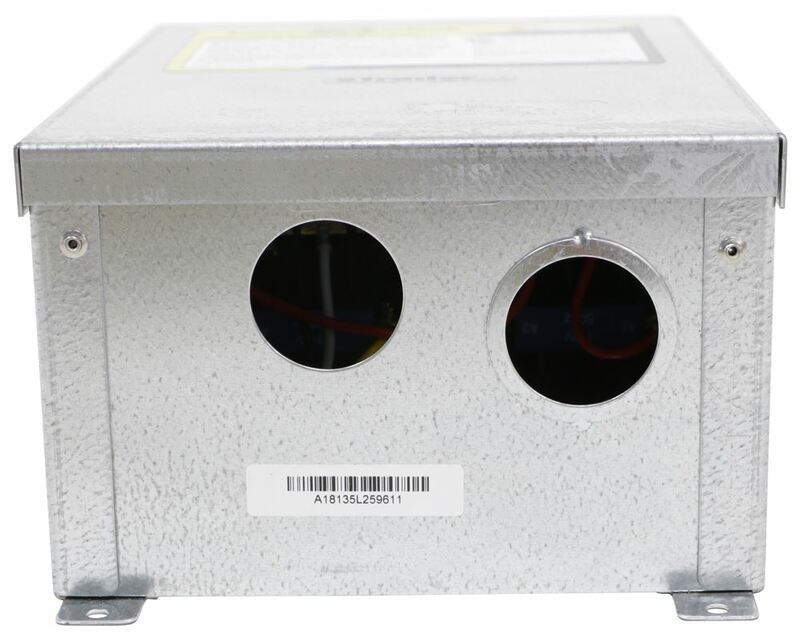 The metal enclosure is strong and durable, also features a corrosion-resistant design, which keeps it safe from rust and corrosion. I removed the lid so I could show you the internal components there.Now on the reverse side of the lid it has a nice diagram here. So this cluster right here, this is the equipment bonding lug. And then you have your main connection point. So you have your generator, shore line, and then your load. It walks you through all the connections, how to get everything done. It has the detailed diagram right here, which is very helpful, and so be sure that you protect that and that doesn't become damaged. That's really nice to have.The lid goes on to the box, and then it uses a quarter-inch bolt right here to tighten down. So what we can actually do, is you just take a quarter-inch socket and wrench, or just a regular wrench or monkey wrench and you just tighten that down, loosen it up when needed to remove the lid.Now a few measurements I want to go over with you real quick. The box itself edge-to-edge going this direction measures about nine and one-quarter inches, edge-to-edge going this direction including the lid right here is about six and thirteen-sixteenths inches. Overall height is about four and three-eighths inches. The mount holes, like these two right here, these are separated on center by five and eleven-sixteenths inches. And then going this direction, they're separated on center by ten inches.That's gonna do it for today's look at the Go Power 50-Amp Transfer Switch. 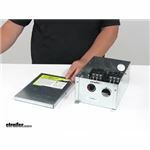 Order: RelevanceNewestRating - High to LowRating - Low to High This transfer switch allows you to alternate between 2 separate 120V or 240V AC inputs to feed your RV's breaker panel. Automatically switches from inverter to shore power when available. Protects electrical system from AC power backfeed. 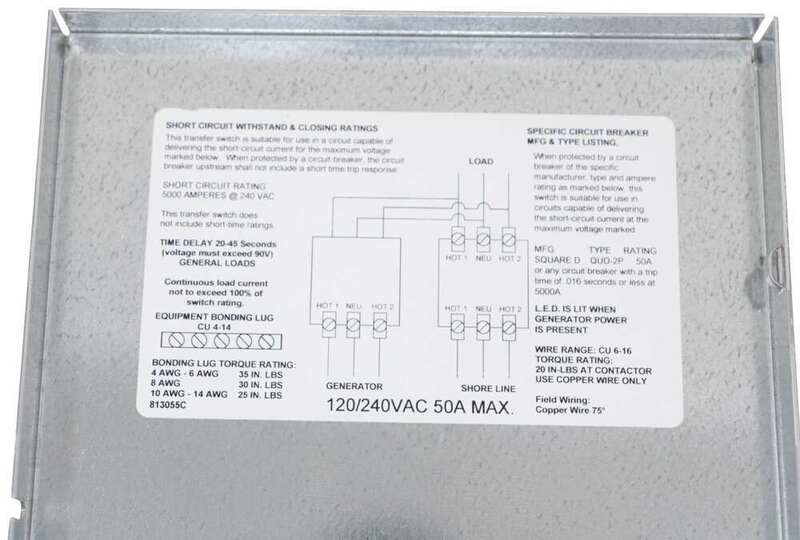 It sounds like you have a short in your Power Cord wiring as there isn't anything between the power cord and the Go Power Transfer Switch # 34270278 as they are directly wired. I've attached a video of the Go Power Transfer Switch - Quick Connect - 30 Amp # 342GPTS which shows these connections. 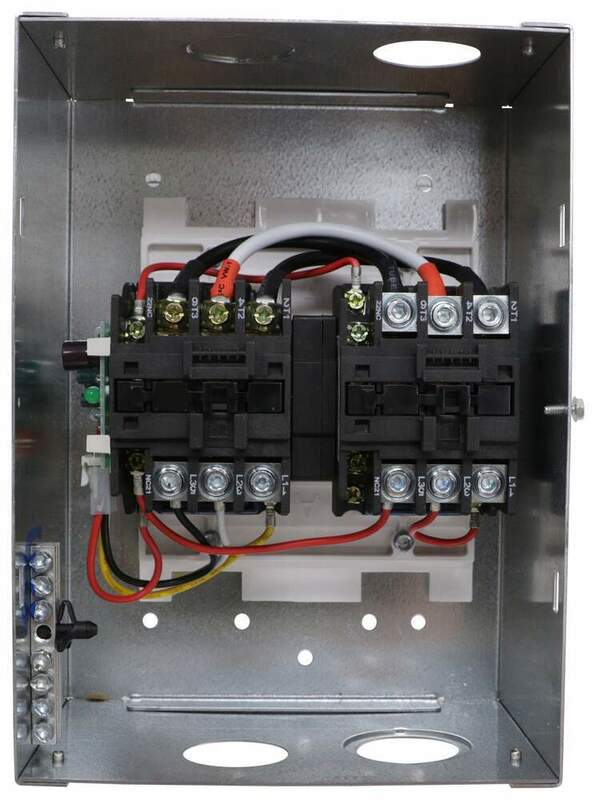 If you don't use and in-line circuit breaker like # CAM55306 then there has to be an issue with the wiring or the ground on the transfer switch itself.